All who have read Jenkins’ The Next Christendom: The Coming of Global Christianity, know that the center of gravity of the Evangelical and Pentecostal world is no longer in the northern hemisphere, but has shifted to Latin America and Africa. This single fact is undoubtedly a huge (if not the main) driving force behind all our ministries in the ACLAME community, understanding that with this new status of numerical majority, the churches and ministers of these regions must also assume a new level of responsibility in church leadership and mission as well as theological reflexion and expression. Our Latin American ministers in the field as well as those in training are realizing more and more that in these times, as new challenges appear, it won’t do to wait for relevant books or articles to appear in English, and then hope that someone will make the effort to translate them into Spanish or Portuguese. Heterodox teachings are already being taught and explained in attractive, effective manners by Latin American adherents to such beliefs. It is both urgent and vital that classic Pentecostal history, beliefs, values and mission strategy be put into writing by our own Latin American, Assemblies of God scholars and students. Such writing must be well-written and well-documented. This will require training and tools. One of those necessary new tools is finally here. 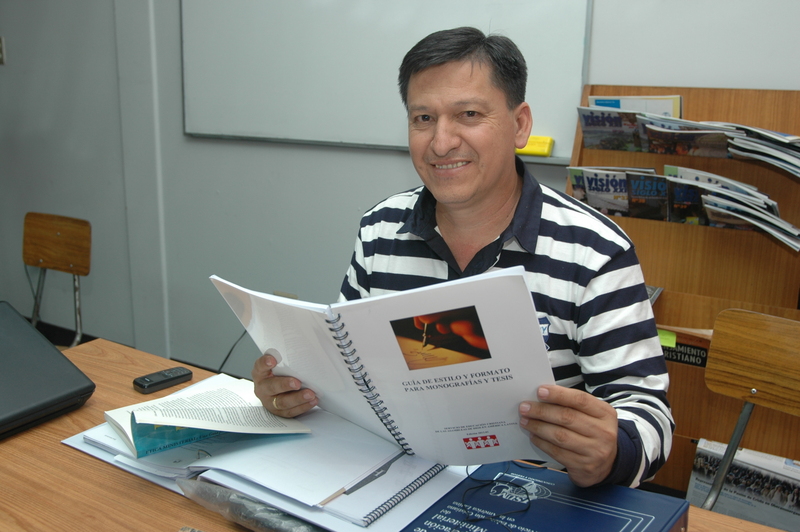 During the recent triennial meeting of the Board of Directors of the Servicio de Educación Cristiana (SEC) [Christian Education Service], held last September in Lima, Perú, I had the joy of presenting the new Guía de estilo y formato para monografías y tesis del Servicio de Educación Cristiana [Format and Style Guide for Research Papers and Theses of the Christian Education Service], which was (happily) approved for use and distribution. This is a project which was commissioned by the SEC board in 2009. The purpose of this endeavor was to unify our standards, so a student beginning Bible school now will learn the proper way to do research, identifying a critical issue and carrying out careful methodical research work, quoting and identifying his sources correctly. 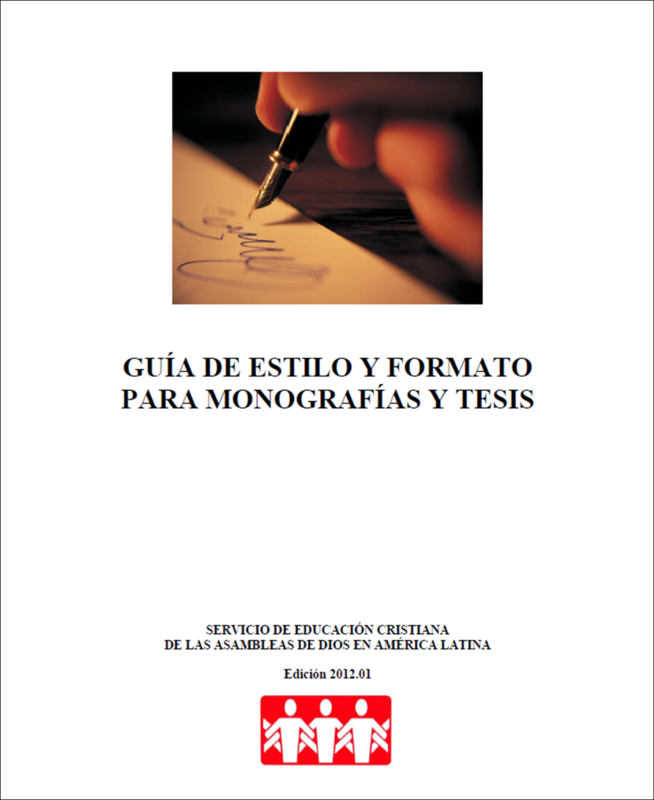 As this student moves on to ISUM to complete his or her B.A:, and/or the Facultad de Teología for the Master’s degree, he or she will find the same style guide in use, and not experience the frustration of having to learn a different system for each school attended. The SEC Style Guide is based on Turabian 7, aka the University of Chicago style guide, in its latest edition, and will be upgraded as Turabian and the University of Chicago implement future modifications. This is the same system used at AGTS in the PhD. in Intercultural Studies program. All specific issues related to style and formatting in the Spanish language (such as the proper punctuation of large numbers) are set according to the standards of the Real Academia Española. Chapter titles include: The Pentecostal Researcher, The Science of Research, Steps to Follow in Writing a Research Paper, Documentation of Sources, and Style and Format Criteria. 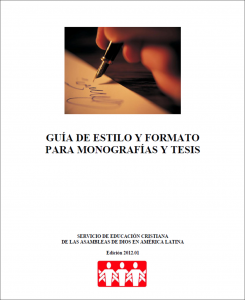 There are additional chapters about the special requirements of research papers written for ISUM and the Facultad de Teología. The reader will also find a glossary of research terms, a listing of useful Spanish-language websites for online research, a complete sample research paper, and an excellent piece by Larry McNeill warning of the pitfalls of doing business with modern diploma mills. I was given and carried out the task of writing the main draft of the new guide, which was later subjected to review and correction by key people in CRA, (the Centro de Recursos y Asesoría) which supervises our network of undergraduate level Bible schools, ISUM (our B.A. level completion program) and the Facultad de Teología (our Master´s level program). I wish to express my thanks to Allen Martin, Mona Re Shields, and Rodney Boyd for the many ways they and their staffs corrected and improved this document. If you haven’t done so yet, go ahead; download it; check it out, and put it in use in your ministry. I think you will like this new tool. A true labor of love! Thank you Jim and SEC for putting this together. I am sure it will help thousands of students do quality research throughout Latin America. This is no small step forward in facilitating the development of quality textbooks and articles that will richly benefit the LAC region. Thanks for a great job. Thanks Jim. What a strategic step toward getting us all on the same page, and standardizing our approah to writing research papers.